Bathroom remodeling is high on the list of many homeowners’ to-do lists. Such projects may be designed to make properties more attractive for resale or more appealing to renters. Or people may redo bathrooms as part of making their homes more current. Other designers confirm that the gray-and-white color scheme is popular on the Emerald Coast. Total remodeling of an existing 40-square-foot bathroom will take about three weeks and would include flooring, walls, fixtures, mirrors, tile and lights. Knocking out walls to make the room bigger and re-arranging plumbing takes more time. Here are some tricks and tips that will lead you to the bathroom of your dreams. 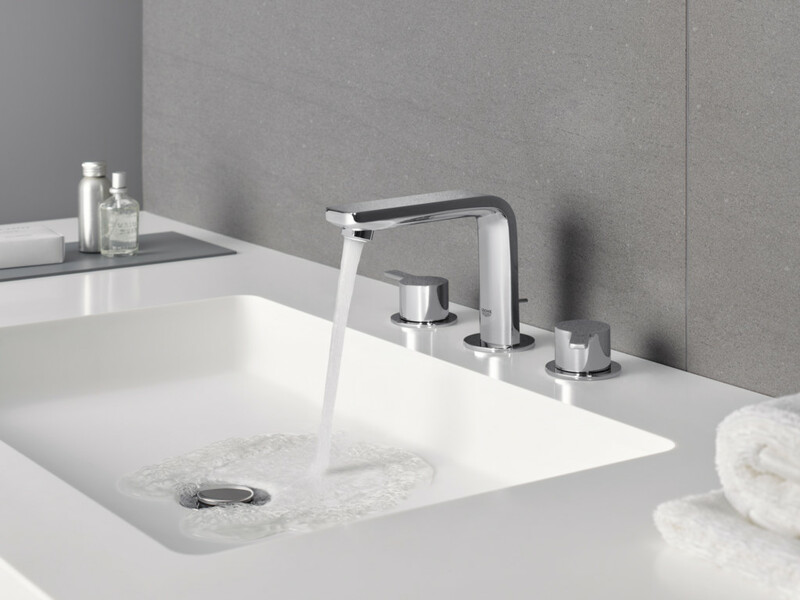 Master bathrooms are full of indulgences while offering efficiency (i.e., two sinks) at the same time. Most homeowners now ask for super-sized showers. Frameless glass shower doors add a luxurious look and are easily cleaned. An elongated shower has no door. Only half of it is glassed in and the remainder is open to the bathroom. Multiple showerheads or a steam feature (that does require a door that seals tightly on all sides) are popular upgrades. Maybe you prefer a whirlpool or deep-soaking tub. Make sure it is roomy enough and doesn’t strain your back. Whether tub or shower, install slip-resistant flooring for stability and freedom from falls. Add grab bars and easy-to-reach controls. A bench seat is a matter of personal preference. An inset or shelf for holding shampoo and soap is a must. Floating vanities make a room feel airy by adding open space between the floor and the vanity — a perfect place to put slippers or attractive containers with supplies. The vanity can be outfitted with drawers, cabinets and cubbyholes. A cushioned chair, ottoman or bench below a window provides a handy place to sit or to throw a bath towel or robe. Walls can be painted or feature specially designed bathroom wallpaper such as a soothing spa-like, gray-blue grid pattern. Consider glass mosaic or tile walls. In a large master bath, combine several of these for a unique look. Keep patterned treatments to a minimum to create the impression of more space. You’ve probably seen advertisements for one-day installations of custom manufactured and professionally installed showers, tubs or both. These are called replacement tubs and showers and vary in quality and price. Installation speed is certainly attractive, and in-home design consultations are free from multiple companies. Make a tiny bathroom look larger by indulging in updated fixtures, storage niches and colorful accents. A striped area rug will add apparent length. Contrary to logic, large tile squares with fewer grout lines will make a small space seem bigger. Pedestal sinks take up less floor space than chunky vanity cabinets. Skylights, windows, chandeliers and soft, flattering lights on the sides of vanities are among the possibilities. The right lighting helps with all types of grooming and gives the room a lift. The bathroom is an important part of the house. Create a space that truly reflects the beauty of your life.